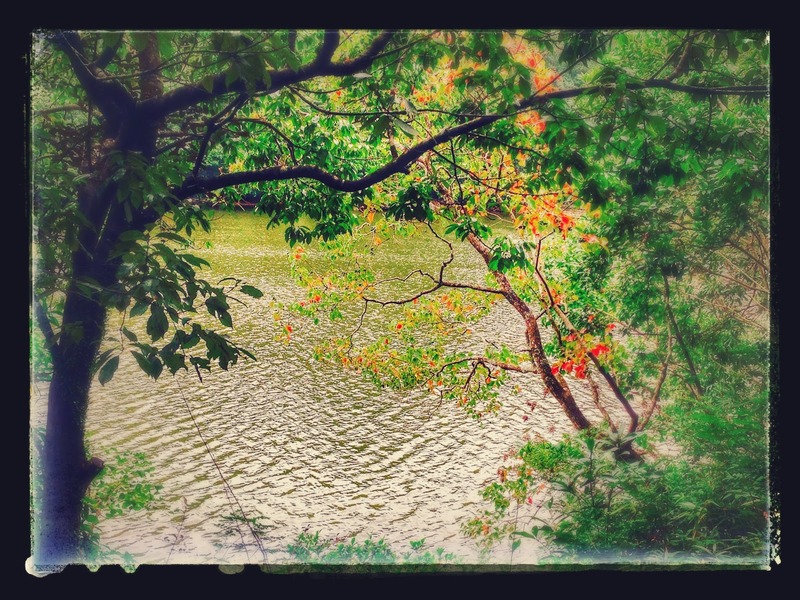 More pics from Miyazaki by Sayed! "GAMES WITH FLASH CARDS FOR ALL SIZE GROUP AND AGES"
The Miyazaki Regional Ggroup conducted it's 10th meeting with the topic "using Flash Cards" held last November 26,2006 from 10 am to 2:30 noon at the Kyoiko Johu Kensho Center,Miyazaki Board of Education,Miyazaki City. A total of 8 members and a 2 new comers participated in the said activity. The Presenter, Mr. Bradley Yaxley. This is his second time to be a presenter in the Miyazaki ETJ meeting. 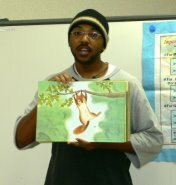 He introduced about how to use flash cards for all size group and ages. Flash cards is the most useful and readily available teaching aids. In this workshop we learned how to use flash cards in more interesting ways and encourage student s to participate in games and how to communicate more coherently. What are you doing? I am reading a book. Give each student 3 action cards. Each student does RSP with another student saying, "What are you doing? One, two, three." The loser asks, "What are you doing?" The winner answers according to one of the cards, for example, "I am reading a book." The winner gives the card to the other player. The student who gives all the cards to other students fastest is the winner. The game works like this: show a flashcard. Allow a few seconds and then simply tell the answer. Go through the flashcards. Make two piles - one for the cards the group can name and another for the ones they can't. After going through all the cards, count up. For every card that is missed draw a triangle in the mouth. This looks like a tooth and represents the mouth closing. For every card the group gets right move the playing piece one segment up the snake. Shuffle the cards and begin again. Can the group escape before all the triangles are drawn and the mouth closes? With small groups it's possible to go round players individually. Encourage them to help each other - the objective is to learn the vocabulary. With large groups encourage spontaneous responses. Make it accepted practice that everyone has to call out the answer. Place one set of FCs on the table face up. (about 10 or so is a good number) Place the same amount of students as there is poker chips on top of each card. Deal one card to each student and tell them not to show or tell anyone. All students ask the first student e.g. ?È—here are you going? ?É¦amp;nbsp;The student moves a toy car or token and may answer by telling the truth or lying. The other students respond individually one by one with ?È’eally??? ?É¦amp;nbsp;(meaning you?Ç²e lying) or ?Èh, I see?É¦amp;nbsp; (meaning you?Ç²e telling the truth) The reply can be what ever you like as long as it?Ç³ clear. The first student then reveals the truth and shows their FC. Students who guessed correctly receive a chip and the first student receives the remainder of the chips. New cards are dealt and play continues to the next player. Deal each student one FC each. One student (teacher first) sits at the front of the class in the hot seat. Other students raise their hands to ask an appropriate question. The person in the Hot seat chooses another student by saying their name. The person in the hot seat replies ?È™es, I am. / No, I?Ç¦amp;shy; not. Are you? The student who asked the question should answer ?Ée too / Me either. If successful that student may keep that card and is given another by the teacher. Everyone moves one seat to the right placing a new student in the Hot Seat. All students who successfully asked a question or said the appropriate target may take and will accumulate the FC. Students who were not chosen to ask a question must leave the FC on the table for the next student to attempt. ?ÂN Any structure you can think of. Slowly reveal the card upwards from behind the first student or team to guess or say correctly gets a point / chip or the card. Fast pace, most points, cards wins. Place cards face down on the table. Teacher says where is ?Ä®.? Students take turns turning over cards saying each card as it is turned. Teacher says is it ?Ä¡Ä®? Elicit Yes/No. First student to find the designated card wins. Quick Flash Teacher quickly flashes the card to the students. First student to say wins. (For numbers or cards with numbers) Students are given a certain number of cards eg 7 cards each. They must not look at their cards. In pairs and in opposite teams the first 2 students turn over their cards and say what number (class repeat optional) The student with the high card wins. Elicit I win / I won. Then the next 2 students challenge each other. Repeat several times. After 2 â€“ 5 mins stop the game and students count their cards most cards wins. 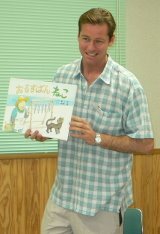 The ETJ Miyazaki Regional Group conducted its 9th meeting with the topic: “Using Kamishibai (story cards) in the Classroom” held last June 11, 2005 from 10 am to 12 noon at the Kyoiko Johu Kenshu Center, Miyazaki Board of Education, Miyazaki City. A total of 17 ETJ members participated in the said activity. 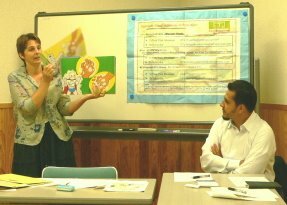 Ms Erika Heijima introduced the concept of using Kamishibai, a traditional Japanese story telling using picture cards. She initially discussed the differences between the kamishibai and the classic story books everyone is familiar with. Her discussion delved on the advantages of using kamishibai over that of a story books. The criteria for choosing and translating a kamishibai, as well the various tips on how to get started were substantially discussed. Since Kamishibai is a traditional Japanese material its accompanying text is also written in Japanese. 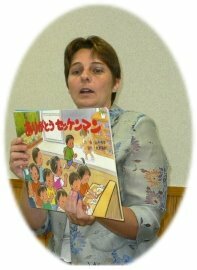 Translating the whole (Japanese) text to English language is not advisable; rather she encouraged interpreting the pictures itself into a story, choosing a language that is suitable to the age group of the students. To better expound the topic, Ms Heijima showed various examples of story cards that can be bought in most bookstores; likewise, she perkily demonstrated an actual kamishibai-story- telling that certainly captured the attention of the audience. Our sincerest thanks and appreciation to Ms Erika Heijima for generously sharing her time and expertise. We have gained new teaching insights and we certainly enjoyed the presentation. Ms Heijima is truly a brilliant story teller! Erika Hiejima is from Australia. She has a Bachelor Degree in Early Childhood Teaching and has been teaching young children abroad for 17 years. She has worked at Miyazaki English Kindergarten for the last 7 years. She has extensive knowledge especially in the usage of Kamishibai (story cards). 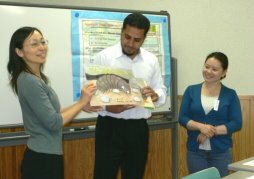 The ETJ Miyazaki had its 8th meeting with the theme: “English in Elementary Schools” held last Sunday March 12, 2006 from 10 am to 12 noon at the Kyoiku Johu Kenshu Center, Miyazaki Board of Education, Miyazaki City. It was participated by a total of 16 ETJ members. The presenter, Mr. Sayed Mohamed, is an ALT for the past 8 years and at same time manages his own 2 English Schools (OXFORD & SES). 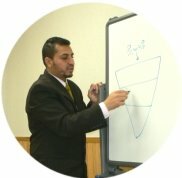 He willingly shared his expertise, his insights gained over the years of his teaching experience. His presentation delved on the highlights of the book he himself have authored entitled “Yaru, Shogakko no Eigo” . He initially discussed the current elementary English curriculum, its problems and his recommended measures. Among the problems he identified include: lack of harmony between the ALT and HRT; lack of books, lack of workable lesson plan and lack of ALT’s experience, among others. His recommendations include: Formulation of an upgraded curriculum; creation of lively lesson plans; establishment of practical team teaching framework; use of various teaching tools, among others. Warming-up - includes greetings, basic question and answer, he emphasized addressing ALT’s using the titles Mr/ Ms/ Mrs. The HRT should take active part right at the start of the class by giving hints to the students especially in the QandA. Phonics - proper pronunciation and blending of sounds esp. consonants should be introduced as part of the vocabulary; refrain from translating or rewriting English words in Katakana version. Grammar – basic grammar notes should be stressed in the conversation, although it should not be taught directly. 1. Make three (3) different levels of lesson plan that suits the grade level of the students e.g. Level I for grades 1and 2; Level II for grades 3 and 4 and level III for grades 5 and 6. 2. At the start of the class, request for a meeting among the HRT’s, the Principal and Assistant Principal in the school and propose for some changes in their current lesson plans applying the above mentioned scheme.